If you ever want to see an entire film production embarrass themselves royally, check out Fist Of The North Star, a misguided, thoroughly awkward live action version of some obscure Japanese manga series. It’s one of those ones that painfully doesn’t translate into the realm of live action though, like that bizarre Super Mario movie they made. Full of notable character actors, packed with steampunk-esque special effects, it could have worked with a different story, but the theatrical intensity and specific vibe of oriental pop culture just doesn’t come to life well on the North American big screen. It’s also at war with itself tonally: there’s a light, PG Power Rangers feel in some places, but many scenes have graphic violence that pushes a hard R rating into the deep end, which makes for a jarring experience. 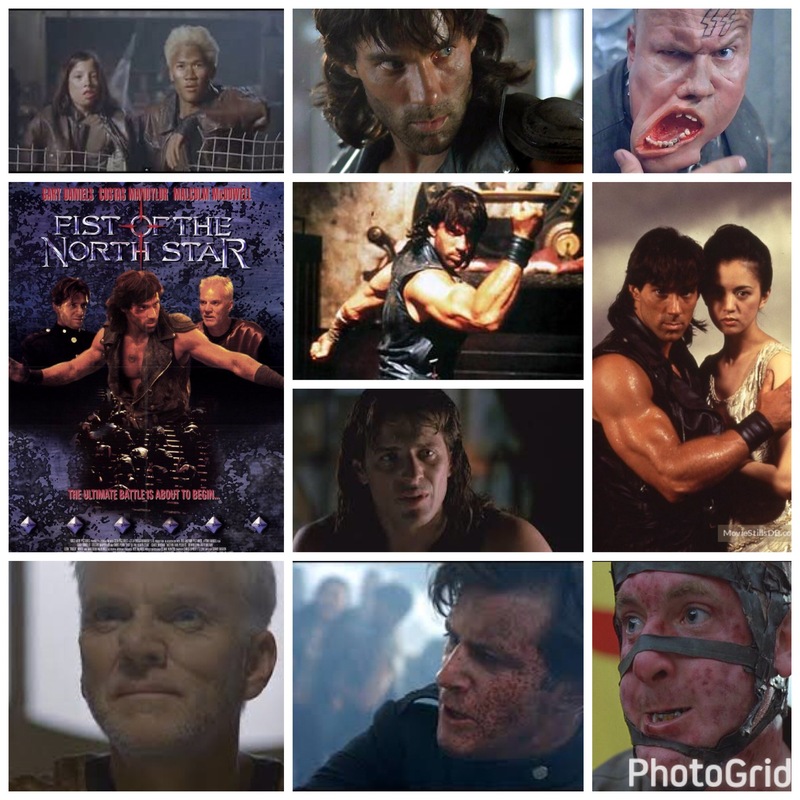 Gary Daniels stars as Kenshiro, a lone warrior out to get Lord Shin (Costas Mandylor under one mess of a mullet), a brutal warlord who murdered his father, briefly played by Malcolm McDowell. McDowell pulls a classic McDowell move, showing up in the flesh for about thirty seconds before disappearing and lazily lending his iconic voice to a talking skeleton version of his character later in the movie. Don’t ask me to remember more of the plot than that because it would involve a rewatch, and ain’t nobody got time for that. Chris Penn is fun as Jackal, an angry vagabond with a giant potato head and the psychotic temper to match. Watch for Dante ‘Rufio’ Basco, Downtown Julie Brown, Clint Howard, Mario Van Peebles and more in equally ridiculous getups. The sole thing I can recommend here is the production design, lifted straight from some striking post apocalyptic video game, it makes somewhat of an impression. The rest lands with a colossal thud and just sits there, doing not much of anything.